One of the best wakeboard manufacturers today is Byerly. Just like Hyperlite, CWB, Ronix, and other famous companies, Byerly has its own diverse product range for wakeboards. If you have had an experience with Byerly, you might be aware of their outstanding quality as well. If you are new to Byerly and its wakeboard range, then you have reached the right spot. In the review below of Top 10 Byerly Wakeboards in 2018, we have highlighted some of the best wakeboards and their relative specifications. Read more to find out the one which suits you the most. This is one of the best wakeboards because it has received awards two times. It is one of the top of the line wakeboards which has been used by several professionals. The best thing about the Byerly Monarch Wakeboard is the fact that it is not too expensive. Coming with the BioLite 3 core, it becomes quite light in weight and doesn’t seem to cause a lot of problems as well. It comes in two different sizes of 53-inches and 55-inches so you get the one which suits your weight and height. With M6 inserts, this wakeboard becomes long-lasting as well. The BP Wakeboard by Byerly is yet another great one in our list which comes with the Double Lap construction. This construction makes it even better for the users since it is durable as well as lightweight. In addition, it makes maneuvering easier for the riders. This is one of the best Byerly Wakeboards in 2018. Coming with an appropriate amount of flex on the edges and stiff from the middle, the board becomes the perfect one for a smooth ride in the waters. The size of this wakeboard is 56 inches and it weighs as low as 12 pounds. This makes the rider’s control even better. If you are planning to ride your wakeboard on a cable park, then the Felix Wakeboard is going to be the right thing. With the Biolite 3 core, the board becomes controllable due to its low weight. Users would also prefer it due to the carbon composite construction which enhances the strength of this wakeboard. The design has been made by Scott Butch who wanted to make a board that is specifically suitable for the expert level riders. The wakeboard travels in the water without drag which ultimately helps in creating the maximum speed as well. Slay your ride with the Byerly Slayer Wakeboard. This board comes with an amazing rocker that gives a high pop off the wake. The overall ride stays smooth and comfortable for the rider. Once again, the design has been made by Scott Butch. It is hand crafted which assures us about the amazing quality of the wakeboard. In addition, there is a wooden core which adds up to the strength level of the wakeboard. These are the few reasons why we consider it as a great Byerly wakeboard in 2018. The Assault wakeboard is going to bring an aggressive yet controllable ride for the user. With a double lap construction, not only does the wakeboard gets light in its weight but it also becomes easier to balance. Strategic flex patterns make the board one-of-its-kind. 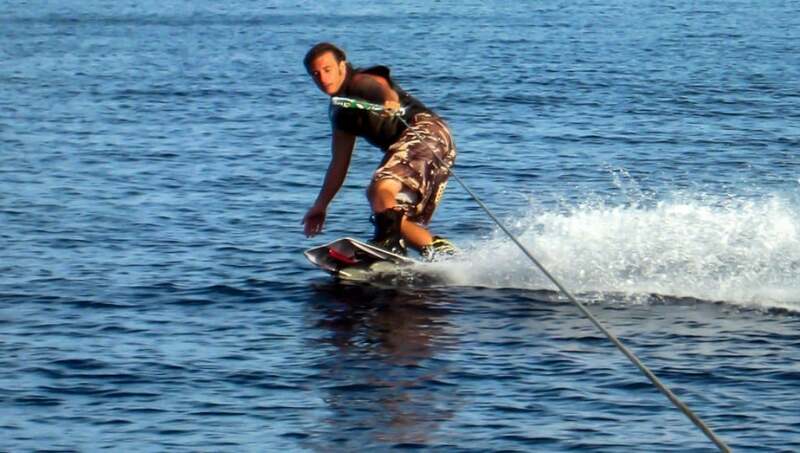 The length of this wakeboard is 55 inches which is perfectly fine for the users. The maximum weight limit must be kept in mind before buying this wakeboard which states that users up to 120 pounds can ride this wakeboard easily. The AR-1 Wakeboard by Byerly is one of the signature boards by the company. Even though, the design is simple, the AR-1 is made for the complex professional riders. All four edges have been laminated with fiberglass that ultimately help in the maximum protection of the wakeboard. This wakeboard has an amazing rocker which gives an explosive pop. This seems to be perfect for the expert riders. The speed is also too much for a beginner. With an elevated footbed area, the turns and the overall ride become controllable. The Blunt Wakeboard is blunt for some advanced riders. With some cool specs like minimum drag and maximum speed, it not only makes a fun-filled ride, but it also makes it easier for the professionals to practice their stunts. The best part about this wakeboard is that it can even accommodate people with high weights. The maximum weight limit is 160 pounds which is fine enough. Being 54 inches in length and providing you some amazing features, the Blunt wakeboard seems to be one of the best Byerly wakeboards in 2018. Earlier we mentioned about the previous version of this wakeboard which was the AR1. Here we shall talk about the AR2 Wakeboard which is yet another one for the advanced learners. This one is thin and not very heavy which means it is easily controllable. Mainly designed for boat riding style, it comes with a smooth 3 stage rocker as well that gives you a high enough pop. Fiberglass Crosslink Construction and the Biolite 3 core make it lightweight and strong making it just the right decision for any advanced rider. Finally, we are talking about a wakeboard that is specifically designed for the beginners. The Monarch wakeboard is made for all those riders who are ambitious to learn wakeboarding. With some amazing features like easy control, high durability, lightweight, this wakeboard becomes the right one for learning. The best part is the fact that there is absolutely no drag which brings better speed to the ride. There are two different sizes of 132cm and 137cm. Build-quality is what matters the most. Byerly does take care of that and even in the last wakeboard of our list, we have high quality with the carbon composite construction. This construction not only makes it durable, but it also makes it lightweight. This wakeboard is both cable and boat friendly so basically, it’s a free style board. What attracts many of the users to this wakeboard is the M6 insert pack which is basically set of hardware that is made at the highest quality standards. This leads to a long-lasting purchase. Byerly has mostly designed some amazing wakeboards for the advanced riders. However, the review of the Top 10 Byerly wakeboards in 2018 does contain a few for the intermediate and beginner riders as well. Make sure you get the ones which suit your requirements. Have fun with your wakeboard!